Research in PainImmunologyLab led by Dr. Ji Zhang aims to understand the contribution of the immune system in abnormal pain behavior. We use various animal models of chronic pain and sophisticated molecular, cellular and behavioral experimental approaches to dissect underlying mechanisms. Our findings advance the understanding on how the immune system interferes with neuronal function, leading to the development of sensory disorders. Theme 1: The involvement of the immune system in chronic pain Chronic pain is a sensory disorder resulting from infection, injury, cancer or some metabolic/neurodegenerative diseases, which has an enormous negative impact on the quality of life of individuals affected by this problem. While for decades, a neuron-centric view has predominated to explain the pathophysiology of chronic pain, recent work has uncovered extensive neuroimmune interactions as substrates. 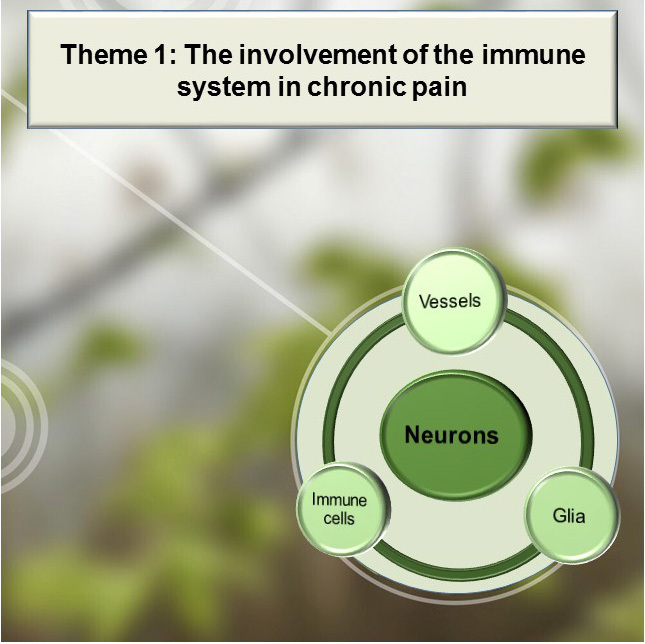 Crosstalk between the immune and nervous systems occurs at multiple levels, involving different types of non-neuronal cells and immune derived substances, contributing to chronic pain pathogenesis. The main stream of our research program is to investigate the immune etiology of chronic pain by exploring the interaction between injured neurons and surrounding glial cells, immune cells and endothelial cells in the development and maintenance of abnormal pain behavior. 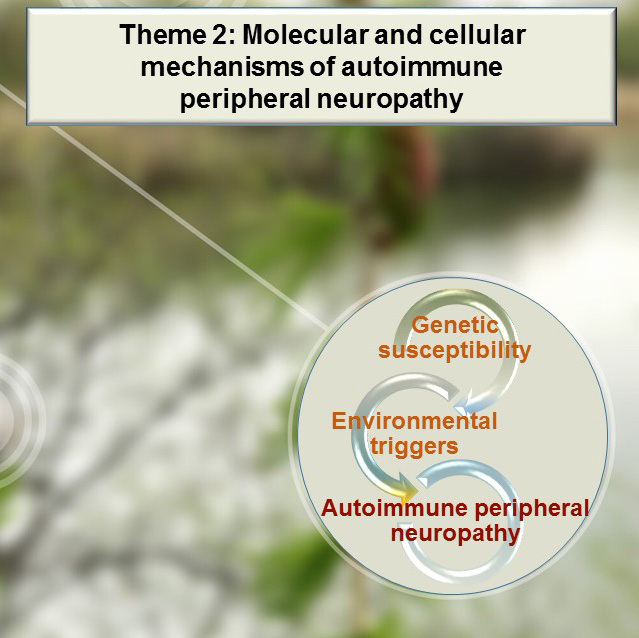 Theme 2: Molecular and cellular mechanisms of autoimmune peripheral neuropathy Autoimmune peripheral neuropathies, e.g., Guillain Barre Syndrome (GBS) and chronic inflammatory demyelinating polyradiculoneuropathy (CIDP), are debilitating diseases with both motor and sensory deficits. Chronic pain is one of the long lasting complications. Although an environmental etiology, such as infection, injury and stress has been suspected, the underlying mechanisms remain elusive. By over expression of T cell co-stimulation factor B7.2, we, in collaboration with Dr. Sylvie Fournier, established an animal model where mice develop spontaneous autoimmune neurological disorders. We use this unique tool to uncover molecular and cellular mechanisms leading to the initiation, progression and recovery of the disease. We are also interested in the identification of decisive factor(s) connecting environmental triggers and the occurrence of GBS/CIDP. 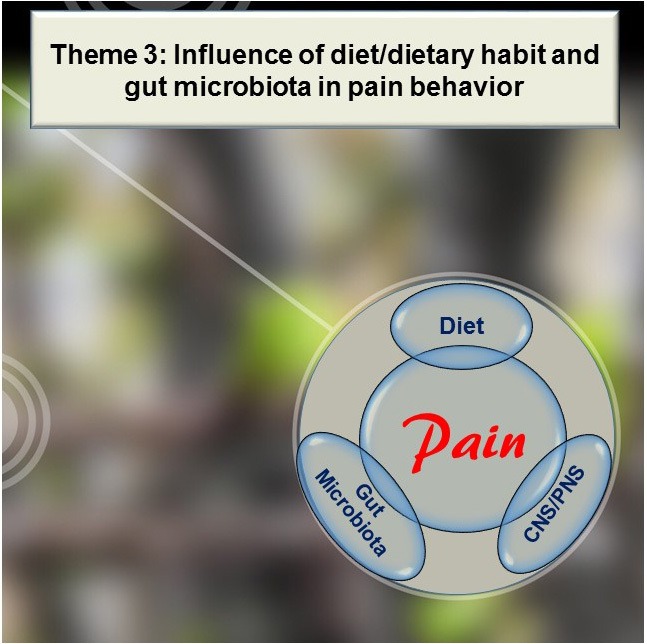 Theme 3: The influence of dietary habit and gut microbiota in pain behavior While growing evidence have clearly demonstrated that poor diet quality and bad eating habits are associated with some chronic diseases, the impact of inappropriate diet on the sensory response has not been explored yet. Also, our understanding of the intricate relationship between diet, gut microbiota and function of the nervous system is at its infancy. We are intrigued to address the following questions: Does what we eat affect how we feel? How the dietary habit disturbs the homeostasis of the gut microbiota, the immune and the nervous systems, leading to alteration in pain sensitivity?